Italy's banks were already reeling before the Brexit market rout. Now it seems some of them may need a bailout. Shares in the country's biggest lenders lost 30% of their value on Friday and Monday as global markets went into meltdown after the U.K. voted to leave the European Union. The stocks stabilized on Tuesday but are still deep in the red for the year -- some of the big names have lost 60%. Media reports suggest the government of Prime Minister Matteo Renzi is considering injecting as much as 40 billion euros ($44 billion) into the sector in the form of new capital or government guarantees. In an exclusive interview with CNN's Christiane Amanpour, Renzi said he was ready to do "everything necessary to save customer and citizens' security." Italy was ready, if needed, to work with European institutions to ensure the security of the banks and their customers, he said. 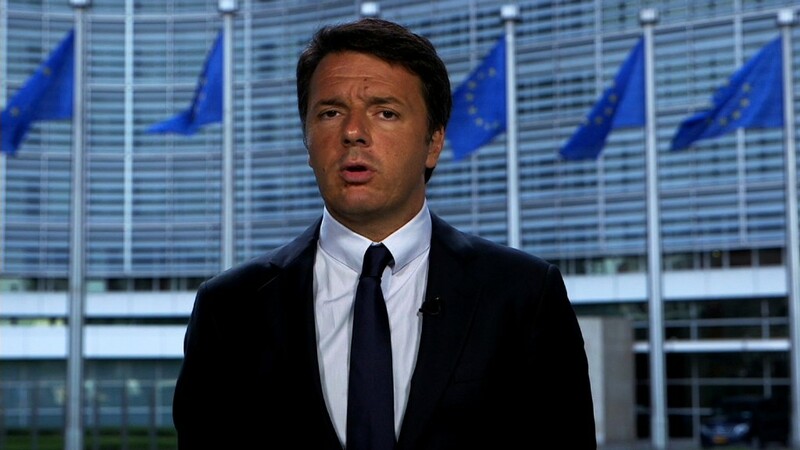 "This is the priority," Renzi added. A spokesperson for the European Commission told CNNMoney that it was closely monitoring market developments across the EU. "Specifically, as regards Italy, we are in close, regular contact with Italy as part of our normal exchanges. We have no comment on the speculations in the press on any potential specific measures," the spokesperson said. Related: How low can bond rates go after Brexit? Italy's banks are being crushed by bad debts that total 360 billion euros ($396 billion) -- a third of the total in the eurozone, according to Reuters. The problem has become more pressing during years of economic stagnation. A highly fragmented and inefficient industry doesn't help -- Italy has more than 600 banks, supporting 52 bank branches for every 100,000 adults. Germany has 14 bank branches per 100,000 adults, and the United States 38. After years of inaction by previous Italian governments, Renzi has started to overhaul the sector, pushing for consolidation. Two banks, Banco Popolare and Banca Popolare di Milano, agreed to a rare merger earlier this year -- a deal that creates the third biggest lender behind Intesa Sanpaolo (IITSF) and UniCredit (UNCFF). Italy has tried to find solutions for its bad debts but has struggled to come up with an effective plan that satisfies European competition rules, which set strict conditions on the provision of state aid to banks. In recent years, Europe has introduced new rules on bank bailouts that allow governments to use taxpayers' money only if investors share some of the pain too.